With Jem hitting theaters tomorrow I think it was important to re-post this. Tens of thousands of words have floated through the nether of the internet over the last few years about the mining of the childhood of all of us kids from the 70s and 80s. Most of it find the idea bad, that remakes and decades past-sequels often just stomp on our images of our childhood. The upcoming Jem & the Holograms film clearly isn’t the original series. No Misfits, for one. Nor is synergy anything other than a buzz word they apparently say at the beginning of the show. And it looks like no actual holograms were hurt in the making of the film. So it isn’t the Jem film that updates the Jem we knew from the 1980s. It takes away some of the uniqueness of that show and replaces it with modern cinema tropes about the Youtube generation. It makes you long for the evil of Pizzazz. And I will be honest here, it really isn’t anything to complain about. When media is converted to another form of media, things change. Nick Fury stops being a World War II soldier. Juggernaut and Professor X apparently don’t no one another. Galactus is a cloud—okay, that one may not be the best example. But for the sake of brevity in storytelling, the sake of making something fit into a different time period or just because the creators’ vision for the film is not quite the same as the original, things change. Here is the news flash. They should. So many fans seem to think they want shot for shot adaptations of the work they once enjoyed. But I am here to say that does not a good film make. The first Sin City succeeded despite some incredible painful lines and goofy visuals solely because Robert Rodriguez devoted so much time to make the visual aesthetic work. And Gus Van Sant’s Psycho shot-for-shot remake failed miserably despite having a much stronger cast than the Hitchcock original. And much of the distaste for either film usually spins out of the fact that they are too close. Sometimes are love for the old clouds interesting changes in the new. Which is why I always say: despite the changes I will give it a chance. Jem & the Holograms might turn out to be a horrible film, but I will not let the simple changes made from the original rip me away from something that looks like it has some great visual cues and a great young cast. Look, I hated G.I. 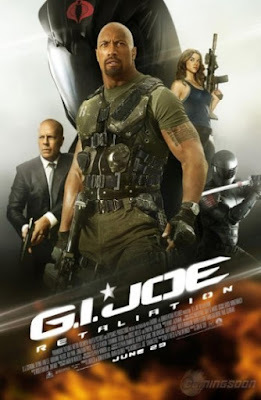 Joe: Rise of Cobra and find the second and third Transformers movies to be seemingly unending garbage. But let’s be honest: both are bad films even if you pull the license away. Neither put the effort forth to start with even a halfway decent story nugget. Painfully coincidental relationships between the new unit member and their threat isn’t something most people can suspend disbelief for. And racist robots are bad whether they were Transformers or GoBots or Orbots or whatever. Jem may have equally bad writing, but a single trailer isn’t enough to show that. So the next time you find yourself commenting about how “they ruined your childhood”, stop and consider what you’re saying. Your childhood has not changed and the great show you had fond memories of is almost certainly available on DVD (but probably is way more painfully written than you remember.) These movies may want to draw you in, but they are made for a far wider audience. Even if that audience proves not to be you, do not hate it for the changes. Let it go and hope for something better in the future. In the case of Jem, it is easy by the way. Just go check out the absolutely amazing new IDW comic by Kelly Thompson and Sophie Campbell. Two issues in and I can already say it is one of my favorite comics on the market today.